It’s that time of year…Best of Lists and predictions for the upcoming year. 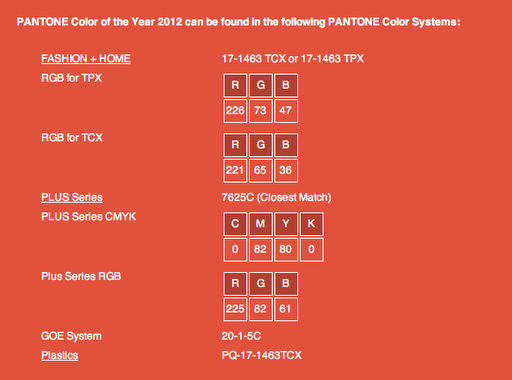 Pantone just released the official colour of 2012. 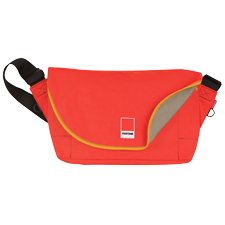 And the winner is……….Tangerine Tango!! I’m okay with this since I happen to love this colour. It’s also the shade of my favourite lipstick. 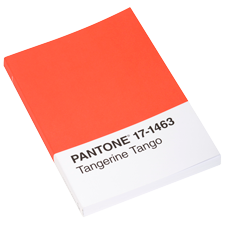 Pantone definitely is an authority when it comes to colour as is fashion. It’s one of those chicken/egg debates. Who influences whom? Does the fashion industry set the trends or is the fashion industry stealing trends from the mega cool hipsters out there? Either way, hope you like to Tango. 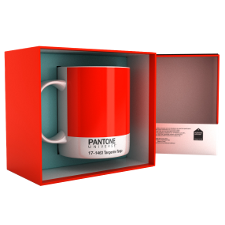 And of course, Pantone offers giftable goodies in the newest “it” colour.